My iPad 2 arrived yesterday–so I'm obviously late to the party here. Most of the reviews I've read about the iPad 2 have called it a nice iteration on the original iPad with incremental improvements. I agree. There are a few points I haven't read anywhere, but noticed immediately. The speed difference is pretty dramatic. Of course, you quickly notice that everything is smoother. Apps launch really quickly. It's not that the iPad was ever slow or unresponsive, but there were certainly times you could tell it was dropping frames or streaming data to keep up with interactions. The first time I launched The Daily, I was shocked how usable the Carousel view was. Email browsing and list scrolling with many messages is very fluid. The difference in graphics performance is staggering. With the iPad I would see 3D engines and think "wow, this is impressive for a mobile device." 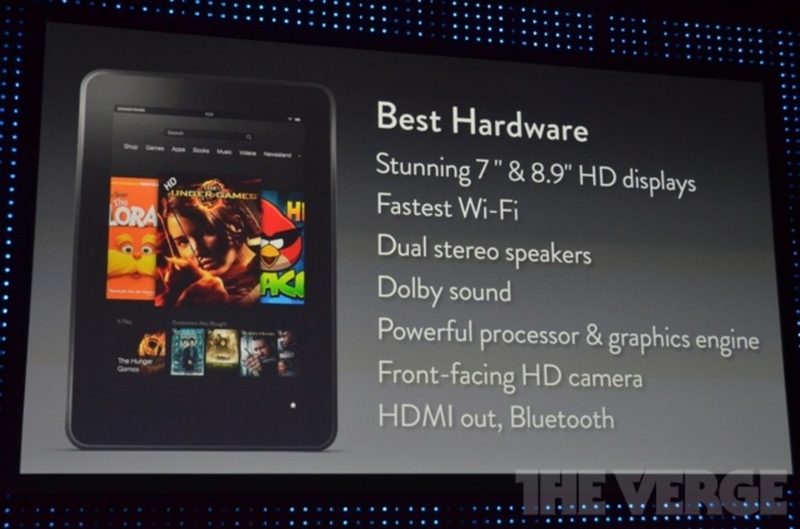 With the iPad 2, there are some really amazing visuals on apps that have been updated specifically for the new hardware. Infinity Blade shows a lot of what's possible with the iPad 2. Most of the original iPad accessories won't work. That means my beloved keyboard dock is now history. Using the Smart Covers and a Bluetooth Keyboard is OK, but I found the verticle orientation on the old keyboard dock put the iPad screen more inline with my eyes. Now I feel like I'm staring down at the screen. Yes, it's a nit-pick but I actually did a lot of writing on the original iPad. The cameras are terrible, but just fine for Facetime chatting. Honestly, I don't see much use for the rear camera–a phone or camera is a much better form factor for taking pictures or shooting video. The smart covers really are awesome. This solves a lot of the usability issues I had with the first iPad. It will be interesting to see how it does on an airline tray though. I've been an active an avid iPad users since launch day. My iPad has become an essential piece of my daily life, and I constantly find new and wonderful uses for it. In fact, I'm typing this post on my iPad in a hotel lounge using the on-screen keyboard. I'm an avid reader, and I do a great deal of reading on the iPad. I read the Wall Street Journal, The New York Times and USA Today every day. I subscribe to many magazines, both as native apps and using Zinio. The iPad is a really wonderful reading platform, plus its much easier to travel with than a stack of newspapers, magazines ands books. Speaking of books, I do all my reading with the Kindle app. I was a Kindle early adopter, but I enjoy the Kindle app more than the standalone device. There are two things the Kindle has done amazingly well at as a newspaper/magazine reader that the IPad didn't match. First, subscriptions to publications on the Kindle are inexpensive, whereas the norm on the iPad is to pay cover price per issue. Second, when you subscribe to a publication the Kindle, Amazon automatically delivers new issues while the device is idle, so you never have to sit and wait for a new issue. On the iPad, each launch of a newspaper app is met with a loading screen while the app downloads enough content to display a home screen. Even when that loads, there are frequent delays as additional content is loaded. The situation is even worse for magazines, where issues can take 30 minutes or more to download. Who has 30 minutes per issue? I had two hopes for today's announcement for The Daily: subscription billing and background, push downloads. Subscription billing is here, but manual downloads remain. Even The Daily, which is built from the ground up for iPad has the same "loading" behavior as the traditional newspaper apps. Obviously content for iPad publications is an order of magnitude larger than Kindle publications. This is exacerbated by publications which are using Adobe's publishing tools. I don't care. As a consumer, the iPad will never be as convenient as mailed magazines or delivered newspapers until new issues are waiting for me when I wake up. They hype and hysteria following the iPad launch has passed. Everyone who reordered a WiFi iPad has one in their hands. Many people have had an iPad for over two weeks. As the launch of the 3G iPad approaches, considerable debate continues about this device. Why does anyone need one when we already have smart phones, netbooks and laptops? Who is this device most useful for? Can you get any work done on it? I've been using the iPad heavily since launch day. I've deeply integrated it into my workflow. I use it for work and for play. At this point, I want to throw my opinion into the fray based on actual, sustained hands-on experience as an iPad owner. Why does anyone need an iPad? This is an easy answer. No one needs an iPad. I don't mean that flippantly, as in all people need is food, water and shelter. The "need" I'm discussing is one of modern American consumerism where you need a cell phone and need a computer. Even with this refined definition of need, no one needs an iPad. The iPad can't perform a single task that can not be accomplished on a computer, and a good smartphone will accomplish many of its tasks with much better portability. That's not to say an iPad is a useless luxury or toy. It's an outstanding satellite computer. In my experience, it's the best way to browse the web. It's a sublime e-reader. Messaging is delightful, and with the addition of a keyboard dock even long-form writing is pleasant. More on that later. If you are in a position where you can comfortably afford an iPad, by all means buy one. You'll enjoy it. Who is this device most useful for? The iPad is a nascent platform. At this point there are some extremely frustrating limitations when it comes to getting real work done. I firmly believe that the iPad represents a new paradigm in computing. The platform will evolve and hopefully we'll see capable competitors enter into the market and expand it. Today, with the current OS, the iPad is useful for two groups. First are people who want to use computing but find much of computing today intimidating or confusing. Do you frequently wonder where you saved a file? Do you have a hard time telling if a program is "open" or not? Do you feel the computer gets in the way of work more than it aides you? Have you broken your computer trying to install software? If so, you may be a candidate for the iPad. The iPad completely hides all the complexity involved in computing, and some of the people I know who are most enjoying the iPad are not computer people. The second group is early adopters. The people who enjoy being on the bleeding edge of technologic advancement. The iPad is undeniably cool. The visceral nature of touching data is intoxicating for those who have been obsessed with what computers future will look like. For mainstream and advanced computer users, the iPad may bring more frustration than satisfaction at this point. You have to make accommodations to the device to get the most out of it, and you have to be ready to run home to your PC or Mac under certain work conditions. By all means, wait for the next iPad. Wait to see what Google and Microsoft do in the space. You'll likely find the waters of touch computing more inviting in a year or two. Can you get any work done on it? Here we find the meat of this post. Believe it or not, I'm using the iPad as my primary computer. I spend more time on the iPad than I do on my iPhone, MacBook Air or Mac Pro. I probably spend more time on the iPad than I do on all the other devices combined. My work is highly technical. I work in social media marketing, and I come from a systems engineering background. The trick to having the iPad be a help and not a hindrance is to embrace it where it is strong, and set it aside where it is weak. It's all about satellite computing. I'm much more prepared for this type of workflow than most people are. I often have tasks to perform that are computationally intense, so I've held onto a workstation-class desktop in an age where notebooks are king. I travel frequently, and despite my ability to manage the transfer and maintenance of files in multiple locations, I decided it was not a good use of my time. For years, my Mac Pro has been my main computer, with my MacBook Air and iPhone acting as satellites. The combination of Dropbox, MobileMe and Exchange ActiveSync on my company's Kerio mail server means all of my life-work and personal-appears seamlessly and automatically on all my devices. I never have to worry about what file is where, or what the most recent version is. This philosophy is necessary to getting useful work out of the iPad. Since all my data is already available securely online, I only needed to find a way to access that data with the iPad. Everything written below assumes that your data is available and organized online. I'm using Dropbox to store all my files. MobileMe and Exchange handle my contacts and calendar syncing. I use Things for my to-do list. I keep my Things database on Dropbox to handle syncing, and Things also does local WiFi syncing for the iPhone and iPad. I think the easiest way to illustrate how transformative the iPad has been is to take you through a day in the life of a new media nerd. Make sure your helmet is securely fastened and keep your hands inside the cart at all times. You don't want to fall out and get left here. First thing, the iPad is a great computer to start the day with. I've gone from getting my morning news from Twitter and blogs to reading the Wall Street Journal, New York Times and USA Today. I plan on doing a separate post on the effectiveness of the iPad as an e-reader, but the format of the iPad is pleasant for reading news with coffee or juice. Netbooks, notebooks and smartphones can't compete here. After I hit the high points in the papers, I check out the weather using The Weather Channel app. It's much faster than weather.com and offers better navigation. Finally I check my calendar for client meetings to see how I need to dress. Knowing the weather, I get ready and dressed. I grab the iPad again and scan all my email, replying to anything on fire. I drop to-dos in my Things inbox as needed. Just before I head out the door for the office, I hop on Words With Friends and hope the large iPad screen will help me win against my iPhone using friends. It doesn't. Now I head to work and do some email heavy lifting on my Mac Pro once I arrive. I sort, tag and give due dates to any to-dos that I made in my iPad and iPhone in Things. I make a plan to attack the day. After the initial inbox onslaught, I do most of my email and messaging on the iPad. Despite the much smaller screen, the iPad is more comfortable for extended use than a desktop or notebook. You constantly shift and shuffle with an iPad, much in the same manner that you do when reading a book. Likewise, I do most of my work on the iPad. An extraordinary portion of my work is completely web based. The iPad is an extremely pleasant and versatile web browser. I miss Top Sites far more often than I miss Flash. I do a lot of writing on the iPad. The onscreen keyboard is very serviceable, especially in landscape orientation. Even so, I find it outlives its usefulness after about two paragraphs. If I'm doing a longer document, I use my keyboard dock. Since apps are fullscreen on the iPad, I actually enjoy writing on it more than I do on my Macs. The app model on the iPad lends itself to focus. Everything becomes intentional. I check my email and Twitter because I'm ready to, not because I've received a notification. Push email certainly works, and the iPad chimes, but without a bouncing Dock icon I've found my messaging ADD has been much easier to ignore. Pages works well for writing, but Numbers and Keynote are no replacement for the more robust applications I use on the Mac. The iPad wins for pure text, but for formatted documents, especially Keynote or documents with a lot of visuals, I use the Mac Pro. Also, if a project I'm working on requires viewing a few documents at once, it's over to the Mac Pro. The switching on the iPad becomes tedious. Even though I wrote this post on my iPad, I had to have my MacBook Air on and open to look at the outline I made before starting. When I head to meetings, the iPad is wonderful. This is the first digital platform I've found useful for note taking in meetings. I keep Notes, Pages and Adobe Ideas on my Dock, ready at a moments notice. Since the iPad is a slate, it doesn't partition you away from the group the way a notebook does. However, it's larger size makes it faster for text entry than an iPhone, and with Adobe ideas, I can sketch and whiteboard as needed. The advantage over pen and paper is obviously search and access. I enter to-dos into things immediately. Also, I can enter text on the iPad keyboard faster than I can write. The only downside is that there is still something special about writing things that encourages the mind to process things more deeply, and that is lost on a virtual keyboard just as much as it is on a real one. Thanks to GoodReader, I can view everything on my Dropbox, or on my company's file servers. GoToMeeting and WebEx both have iPad apps, and I've used both for meetings. When I'm traveling, or in those rare moments of downtime, the media consumption the iPad was designed comes alive. Reading Magazines as apps is the first digital experience that rivals glossy, four-color prints. Video, including NetFlix and the ABC apps is stunning. Since I use Dropbox, my MacBook Air becomes a capable replacement for my Mac Pro unless I need to transcode some video. All of my devices are equal satellites. Once I get home, the iPad is a great experience with my kids. There are some wonderful children's books in app form. I'm not satisfied with iBooks for children's books yet, but I'll save that for another post. Once the kids are in bed, it's back to work, and then finally some games. I had high hopes the large iPad screen would make me triumph over my peers in Words with Friends, but alas it just makes it easier to see my defeat. Finally, I go to sleep. This is an hour or more later than usual because of my iPad addiction. I'm guessing that will get better soon. Now, even in my highly adapted workflow, the iPad is not perfect. In many ways, it's more of a preview than a seamless model. I never have to worry about file versioning on my Macs, but the iPad has no file browser. That means whenever I work on something, I make a local copy on the iPad. Suddenly, I'm back in a situation where I'm managing document versions. I don't want to think about this, and it seems like an obvious place where iWork.com and MobileMe should come to play. Keynote works in a pinch, but is not substitute for Keynote on the Mac. It's not even a full-featured playback device for Keynote, so I can't reasonably do presentations from the iPad yet. Oh, and there's the printing thing. I'm ready to move beyond printed pages, but the rest of the business world is not. All these things are temporary issues. I'm certain they'll be addressed in a year or two. I have no doubt that long term computing is all about touch. In the near-term, many of the issues above are deal breakers for computer savvy business people. For me and a half-million other iPad users, however these issues are minimized in the face of the what this device can do already. It's my main computer. Web browsing, messaging, media consumption and even writing are all compelling experiences today.